Mr. Bartley R. Miller comes from a strong pedigree of Atlanta insurance professionals. He works with a passion to help businesses and professional practices across the country manage their insurance goals. If you ask his clients and other business relationships, they will tell you that Bartley’s main concern is adding value and worth to every relationship he joins. Bartley truly believes that his worth is determined by how much more he provides in value than he takes in payment and that true success is a measure of how we all serve others. Bartley offers insurance solutions for professionals, general commercial businesses, individuals, and employee benefits. He has a particular interest and expertise in the Healthcare arena. Since joining Sterling (AKA Sterling Seacrest Partners) in 2006, Bartley has become one of Sterling’s fastest growing insurance professionals. In September of 2010, Bartley was named a Partner within the agency. Bartley received a Bachelor of Business Administration degree from the Terry College of Business at the University of Georgia, with a major in Risk Management and Insurance. While at the University of Georgia he was a starting offensive lineman, three year letterman, and was named to the All SEC Academic Football Team. While growing up in Atlanta, Bartley attended Holy Innocents’ Episcopal School through Middle School and then went on to graduate from The Marist School. Bartley’s passion for athletics still burns bright as a part-time assistant football coach at The Marist School since 2007 and a youth baseball/football coach at Northside Youth Organization since 2006. 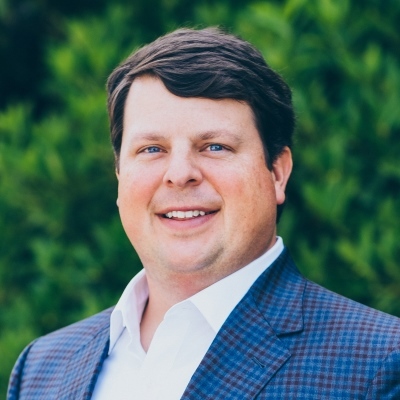 Also highly involved in his church community, Bartley attends Peachtree Road United Methodist Church and has served as a facilitator in their Disciple I program and as a member of the staff parish and finance boards. Bartley is married to the former Allyson Nichols of Dunwoody, GA. They have two sons named John & Harrison and a daughter named Reagan.